We sampled each alone, then with toasted cubes of rosemary garlic bread, then were free to add any combination of an assortment of condiments to them (crushed red pepper, freshly-grated parmigiano, oregano, balsamic vinegar, sea salt). Glod supplied a palate-cleansing glass of white wine for each. 1. Vetrice – This label is well-known throughout Italy and had a reputation for premium quality and complexity. The bottle we had is pressed from the first pick, and had a spicy, grassy taste. For me, it was a little too aggressive (very bitter, astringent, and green-tasting) by itself, but it was good cut with the cheese, and I imagine the pungent flavor would add a measure of complexity when cooking with it. Ideally, I would use it in pesto; it would go especially well in a parsley-based pesto, or with dandelion. 2. MaleNchini – Another fancy, first-pick oil with a pungent nose, light green color, and strong green taste. This one was less spicy than the Vetrice, but had a bitter fruitiness in the green flavor. It reminded Glod of the smell of a specific plant that grows in Poland. Well received by both Glod and Jeremy; again, too green for me by itself, but great with balsamic and would be delicious with tomatoes (I’m thinking bruschetta?). 3. L’Antico – This is a pretty bottle that I bought in our local natural market for about $15—so a medium-nice oil that I’ve used often and happily, both raw and when cooking. It’s buttery with almond overtones, a mellow, rich flavor. 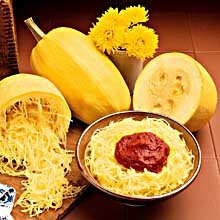 Perfect by itself or seasoned with pepper and oregano; adds a pronounced olivey taste to pasta dishes and sautées. My personal favorite, but Jeremy and Glod both thought it was boring. 4. De Cecco – Yes, the kind you can get in any supermarket for less than six dollars. I use a lot of olive oil and keep it around in case of emergencies. I put it out on the table as a “control group”/just for laughs – but Glod and Jeremy actually liked it quite a bit! It has a flatter, less-interesting-and-more-processed taste than L’Antico, but it’s mild, pleasant, and soaks into parmigiano very well. 5. Chipotle – This was one of Jeremy’s new acquisitions, and we threw it in just for fun, even though it can’t be compared to the other unflavored oils. It was very weird; the peppers are smoked before they are pressed, and the smoky flavor was even more present in the olive oil than the peppery-ness! It actually needed a little extra kick, which we supplied with the Aji J and I brought back from Ecuador. All in all, it was a little too off-putting by itself, but would be really interesting in Spanish dishes (we have an empanada party in the works) or on fish. All in all, the tasting was really fun, enlightening, and overall, a nerdy success. While squash is cooking, toast nuts in a dry small heavy skillet over moderate heat, stirring frequently, until fragrant and a shade darker, about 6 minutes, then cool completely. Pulse nuts and garlic in a food processor until finely ground. Add parsley, oil, cheese, water, salt, pepper, and zest and pulse until parsley is coarsely chopped. While squash is still hot (very hot! careful! ), cut off stem from squash and discard, then carefully halve squash lengthwise (it will emit steam) and discard seeds. Working over a bowl, scrape out squash flesh with a fork, loosening and separating strands. Toss with pesto in a bowl. Enjoy! sometimes olive oil makes my throat itch. have you ever cooked with rice bran oil-in NY you can find it at Commodities Natural or The Health Nut-smoke point 490!! What is rice bran oil like? It sounds like something whole wheat noodles would be yummy stir-fried in. =) I love Commodities! They had really lovely tomatoes this week. I've never been a very big fan of olive oil, but again you stretched my limits. I searched through the pantry and found five bottles of the stuff, poured a little out on the clean counter top with the bottle behind the puddle and tasted each. The results; Vigo: mild-light in color. Carapelli: almosted tasted the same as the Vigo but a little darker in color. Lucini: couldn't tell, it was almost empty and tasted old, but it could have been my best bottle. Tirreno (extra light): almost white in color, it was fresh tasting (after tasting the old Lucini) but that was probably because it had never been opened. l'Epicerie: best of all, it had a skewer of garlic cloves in the bottle. I use it alot to fry spinach. I supplied a cheap bottle of Pino Grigio to cleanse the palate. I've decided that I might like olive oil better if I just bought a better quality. I'll try your recomendation. Thanks! You're so awesome. I especially like the puddle-style tasting. 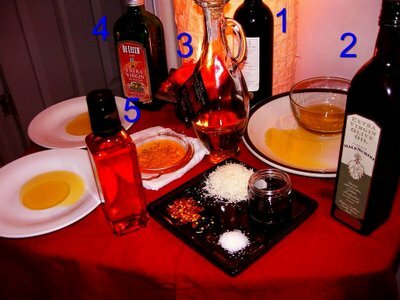 Olive oil is great for most purposes and is crazy good for you, way healthier than vegetable oil or butter. 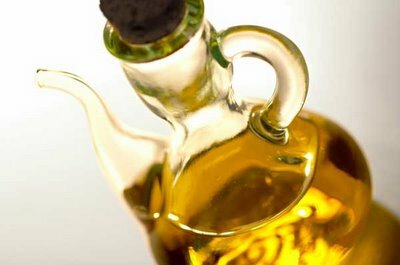 Toward your tasting: unfortunately, oils don't improve with age the way wines do, so the little-used oils in your pantry probably aren't anywhere near their peaks. ;) Your notes about color were interesting; color doesn't really ever determine the quality of an olive oil, but usually younger oils are lighter and greener-tasting, as well as spicier, particuarly if they are Italian oils. She has a wonderful description of rice bran oils! now we are making it on our land in italy, what a privilege! We mixed our trees Frantoio, Mariolo, Leccino and Pendolino and get a great blend, best after a sunny dry summer. It's still hand harvested where we are and pressed in batches, as it's ripe.